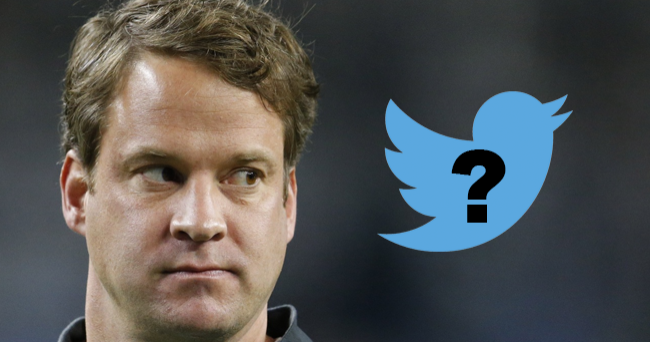 This became extremely evident to many people this week after a Texas A&M assistant coach took to Twitter after a recruit announced, via Twitter, he was decommiting from the program. A&M wide receivers coach Aaron Moorehead, who played professionally and has a Super Bowl ring to show for it, was understandably emotional and took to Twitter to rant about the lack of loyalty, among other things, this generation has. Moments, later, two other high profile recruits tweeted they were either backing out of a commitment to A&M or were no longer considering the school. Their reason? Coach Moorehead’s tweets. It’s not just coaches, though. We’ve also seen administrators make headlines for inappropriate social media use, from SID’s being fined to a Senior Associate AD criticizing players from their own program. Social Media has completely changed the game, especially when it comes to recruiting. Article after article has been written on the topic. With social media, coaches can sell their messages 24/7/365, announce new commitments with signature code words, show insight into their personality, evaluate the character of recruits and more. It’s something we assist coaches with in our sessions. Nobody should be more passionate about the team than the coaches, and social media is their chance to show what they’re all about. It’s also an opportunity to educate, motivate and inspire their own players. Student-athletes spend a significant amount of time each day looking at their phone. While they are scrolling through Twitter or Instagram, how valuable would it be to see a post from coach about working hard, about team values, about the importance of attitude? It’s a simple, timely way to be in front of players when you can’t physically be in front of players (by the way, this works for your own kids as well). And while many acknowledge the reality that using social media poorly has cost recruits a chance at scholarships, few talk about the fact that recruits also have power. Coaches are evaluating recruits but recruits (and parents) are also evaluating coaches. Coaches can put on the hard sell when sitting on the couch across from a recruit, but they can show their true character online. We advise coaches to ask the question, “If I were a recruit following you on Twitter, would I want to be a part of your team or would I be driven away? If I were the parent of a recruit and followed you on Twitter, are you portraying the kind of culture I want my son or daughter to be a part of for 4 years?” By taking to Twitter while emotional, Moorehead gave recruits that answer. There is a significant amount of opportunity for coaches on social media. They get to control the message of their program, highlight the caliber of people on their team, brag about the on and off-field accomplishments, show why recruits should want to sign and why fans should want to support. But there are also risks for those who choose to not have a plan, who choose to not step away when emotional, who choose to use be reactive instead of proactive, who choose to not realize the power of social media. Coaches are leaders and leaders set the standard. Hold yourself to the same expectations (or higher) you hold your student-athletes to. Social Media is a tool, not a toy. When used without a plan, it becomes a risk. Those who use it with purpose create a competitive advantage. That begins with education.